Recent political events have shown an alarming lack of awareness in western countries of life in the Middle East. 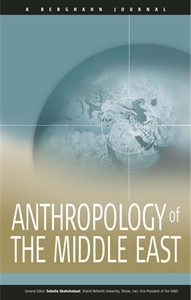 Anthropologists, trained in analysing local discourses and social actions and their socio-political and historical contexts, play an important role in making social and cultural developments in the Middle East more comprehensible to a wider world. This important new journal provides a forum for scholarly exchange between anthropologists and other social scientists working in and on the Middle East. The journal's aim is to disseminate, on the basis of informed analysis and insight, a better understanding of Middle Eastern cultures and thereby to achieve a greater appreciation of Middle Eastern contributions to our culturally diverse world.